We’ve seen a lot of tower defense games, especially since the rise in popularity of mobile gaming. I would imagine most tower defense developers hope you see something unique and eye-catching in their take on the genre. Well, Neocore Games took quite the different approach by creating a solid action-RPG game with very popular tower defense segments. 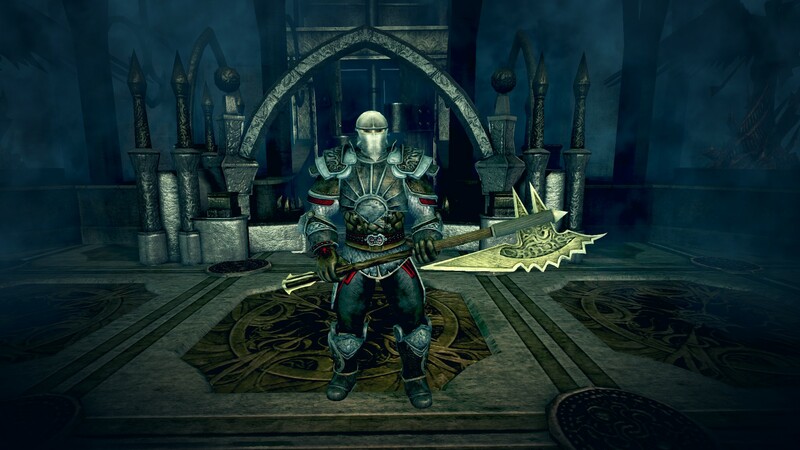 I’m sure it’s not a surprise to anyone that played The Incredible Adventures of Van Helsing games that Neocore took the community suggestions seriously and released Deathtrap on Steam’s Early Access. As mentioned, it’s a tower-defense game with some RPG elements hoping to take the lore and the best parts of those Van Helsing tower defense segments and create a rich and successful franchise all its own. 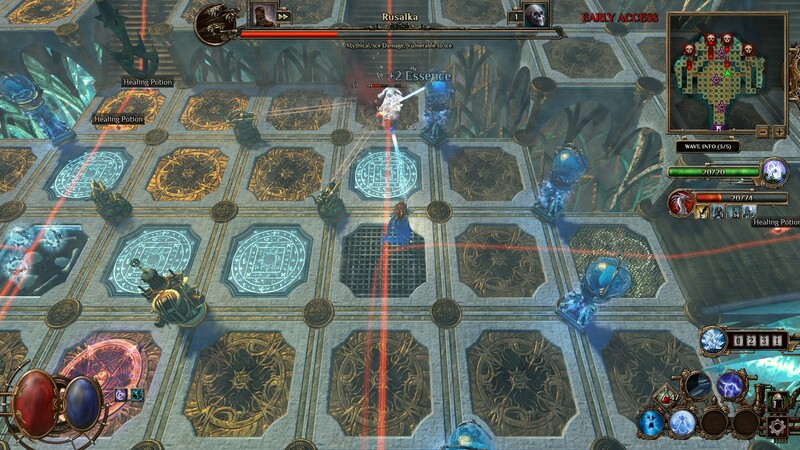 I’ve already stated that Deathtrap is a tower-defense game, but that’s painting it with a pretty broad brush. 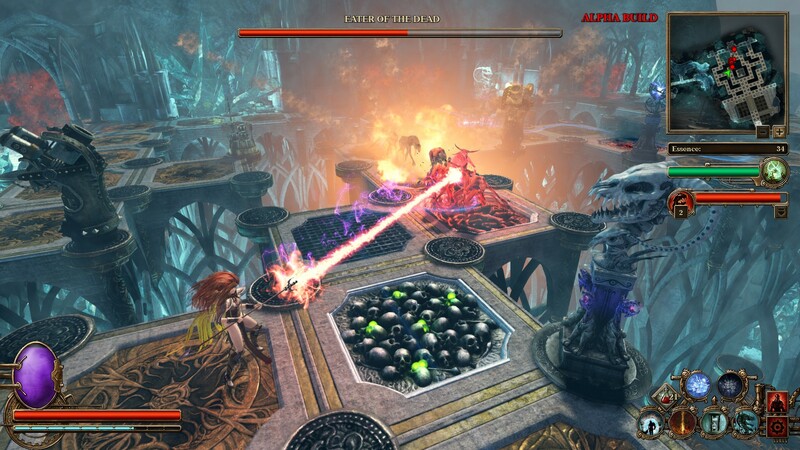 The game uses the grim setting and similar monsters from The Incredible Adventures of Van Helsing universe, so expect wizards, werewolves and all manner of dark monsters. It is a top-down style game, similar to Defense Grid, if you were a fan. You create a character from one of three classes–Mercenary, Sorceress and Marksman–and take on the hordes. The real fun is in the gameplay; you can sit back and watch your traps do the work, or you can take charge and cut a swathe through the enemies with action-RPG style combat. Exploration of the maps can be rewarded with unique areas, bosses and loot chests, but don’t let that come at the expensive of too many monsters crossing into the warp gate that you are defending. What makes this game unique is mostly the setting coupled with the perfect blending of genres and elements. For example, choose the marksman class, and you’ll be treated to the same steampunk features and weapons that complement the gameplay so well in the Van Helsing games. Also, the ability to fine tune your play style by balancing active combat with your choice of traps. There will be 25 traps that offer more than 150 upgrades. Between each level you can use the points earned in the last level to upgrade not only your character’s stats and abilities but also those of your traps. You can even buy and sell gear for your character and find the best fit to help give you an edge in the next level. Traps come in all flavors–the traditional ranged towers, spike floors and then the not so traditional werewolf in a box. As much as I like the lava pits and spike traps, there’s something satisfying about a well placed werewolf in a box, with upgraded health, that helps you patrol that area of the map and control the mobs. Like most games in this vein, traps can only be placed on specific tiles, so it’s difficult to overcrowd the map and get an unfair advantage. 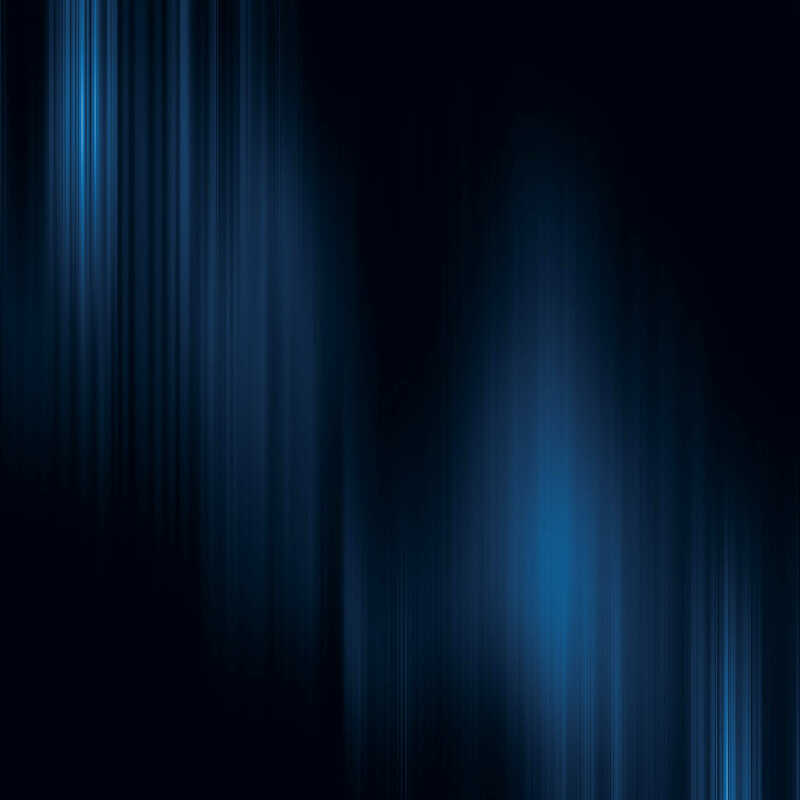 That is where your trap and upgraded choices, as well as your assertiveness to maneuver the battlefield with your own character, really enhances the strategic gameplay. 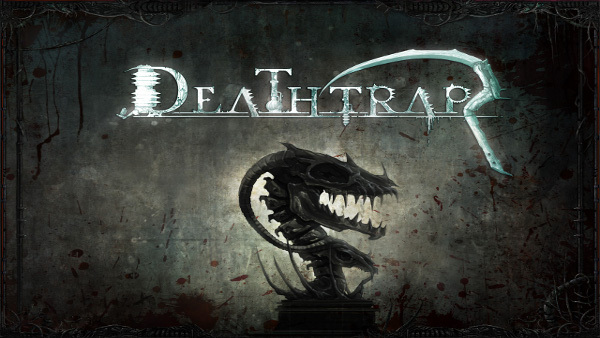 Even though Deathtrap was only unleashed on Steam Early Access this past October 2014, the game will launch fully on February 4th! In addition to the gameplay that I’ve described, there is a level editor with Steam Workshop integration, leaderboards, PvP, co-op modes and item crafting. You can check out all of the details on the Steam page, the official page and even browse the Steam Workshop pages to see what maniacal maps the community has come up with already! It’s quite a bit of fun already and I’m very interested to see what the final build will add! Hope to see you in the Ink fields soon! This entry was posted in Blogs, Post, Stories and tagged Deathtrap, Neocore Games, The Incredible Adventures of Van Helsing, Van Helsing. Bookmark the permalink.